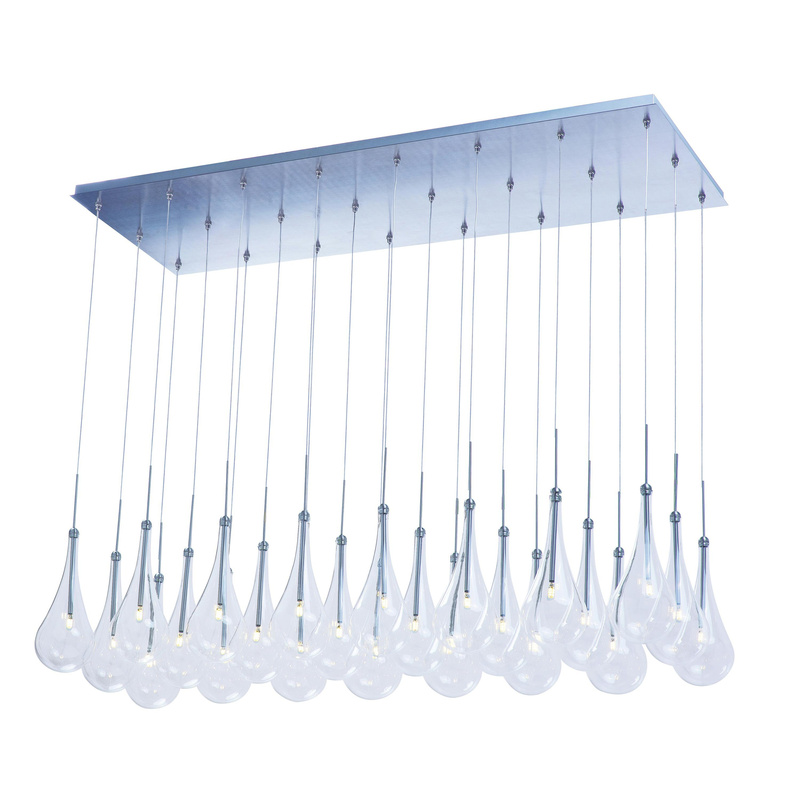 ET2 Lighting Larmes LED Collection 24-Light island pendant fixture in polished chrome finish, features clear 18 glass shade that brings elegance to the home. This fixture has 24 1.5-Watt LED lamps that have voltage rating of 120-Volts. G4 Socket lamp has color rendering index of 80 and color temperature rating of 3000K to ensure optimal light level. Lamp has 30000 hours average life and offers 2304-Lumens of bright light output. This fixture measures 51.5-Inch x 18-Inch x 140.5-Inch x 18 - 140.5-Inch. This fixture comes with 124-Inch lead wire for hassle-free installation. Fixture is dry rated.